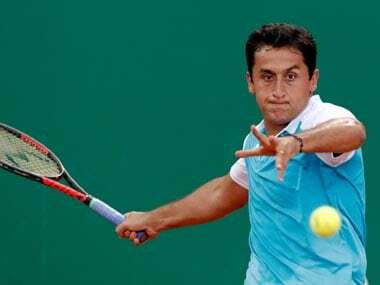 Mumbai: Sabine Lisicki once made the tennis world quiver with her serves. Just ask Ana Ivanovic, against whom she fired a then record 131mph thunderbolt. 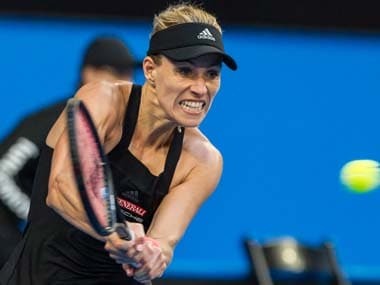 Or Belinda Bencic, against whom she blasted a record 27 aces in a match — many of which so unreturnable that the Swiss tennis ace would drop her head down and loosen her stance in resignation by the time the ball whizzed past her. Still feeling her way back into the game after injuries — Lisicki points out she's spent 14 months in the last 20 out injured — the German tennis ace's serve was missing some of that zip as she lost 6-3, 3-6, 4-6 to Japan's Nao Hibino on a cool October evening at the CCI's tennis courts. The first set, which Lisicki won, itself saw her serve show cracks when she dropped it early on to trail 0-2. That she went on to clinch the first set despite this was a testament to her quality, which remains despite the injury-pockmarked career. On being asked how crucial it was to break the German's serve that early on in the match, Hibino muttered, "It happens," before breaking into a nervous laugh. On the court though, she was a picture of concentration all through the game, after having gone behind a set. That's when she changed her tactics to counter her taller opponent's serve. "I knew she was going to play aggressively. I had watched a lot of videos of her, and I had that in my mind. So in the first set, I played a little too defensively. But in the second and third sets, I got used to how she plays. I tried to be more aggressive from the second set. I think it worked." Lisicki, the World No 225, had eight double faults on the night, and her first serve percentage dropped from 57 percent in the first set to 42 percent in the second to a dismal 38 percent in the third. Earlier this year, the duo had met in a tournament in Chinese Taipei where the result had been completely different as Lisicki had won in straight sets. "When I played her in Chinese Taipei earlier this year, I had a few chances to actually win the match. But I didn't go for it. I wasn't aggressive enough. But today, each time I got a chance, I went for the kill." Another bout of nervous laughter follows this answer. What was also critical on Wednesday, she says, is a positional tweak while receiving serve and attacking more while serving herself. "She serves like a guy. So I positioned myself really behind the baseline, to counter her kick-serve. "And then, when I was serving, I realised that she was attacking my second serve really well. So I started to make my second serves with the same speed as my first. I realised that if I served slower on the second serve, she would hit unreturnable winners and get the point anyway. So I was serving with the same pace risking a double fault. The tactic was to be more aggressive second serve. And it worked. 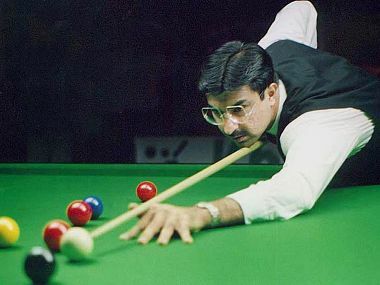 "I also worked on my footwork. I tried to hit every ball as deep as possible," says the World No 123. 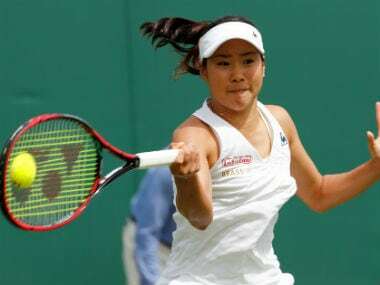 Hibino was able to win just 45 percent of points on her serve in the first set, but that number went up to 69 and 70 in the remaining two sets. 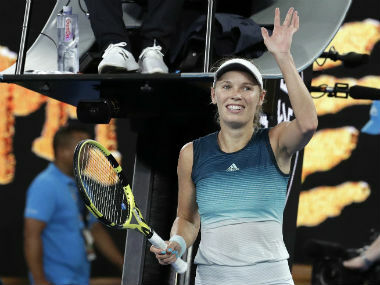 Tellingly, while she won just 36 percent of second serve points in her first set, the corresponding numbers rose dramatically to 56 and 58 in the remaining two sets. Her reward for the victory is a last-16 encounter against China's Jiajing Lu on Wednesday.